Of late, reports have been abuzz with news about a relationship brewing up amongst an actor-filmmaker and a popular host. We are talking about Farhan Akhtar and Shibani Dandekar. We hear that Farhan was enjoying his single life after his separation with wife Adhuna Babani two years ago. 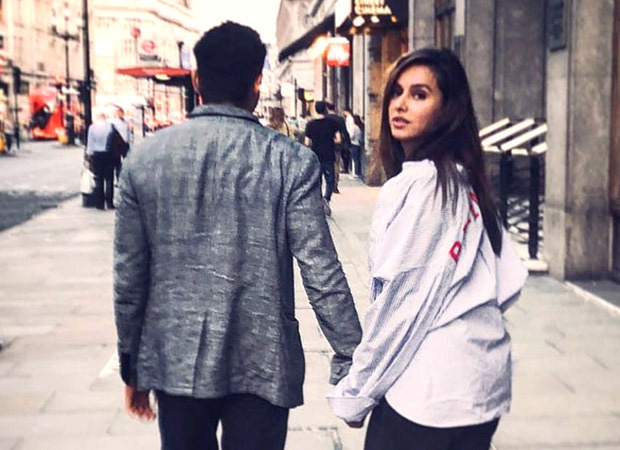 But the multi-talented star has now found love again in ‘That Brown Girl’ Shibani Dandekar. For the uninitiated, Shibani Dandekar, sister of VJ Anusha Dandekar, is quite popular on the TV front and hosted many shows. She is apparently travelling along with Farhan Akhtar and rest of the gang of the band Farhan Live recently. While speculations about their relationship has already created furor, fueling it up further was her recent post on social media. The host turned actress shared a picture of her holding hands with a man [in a blazer] with his back facing towards the camera. On the work front, Farhan Akhtar will return to acting with The Sky Is Pink. The film features Priyanka Chopra and Zaira Wasim and it is based on the life of Aisha Chaudhary, who is a patient of pulmonary fibrosis. Lotto Weekend: $33 M won in Edmonton; $15 M in Ontario! Guess Who’s Not Invited To Celebrate Beyonce’s Birthday!